Carl Nielsen’s fiftieth birthday had mainly been celebrated among friends and relatives. His sixtieth birthday on 9 June 1925 was a very different and highly public event. In the morning there was brass band music in the back garden at Frederiksholms Kanal. All day long there was a flood of telegrams, flowers and deputations. In the end it was almost too much. Maren, the ever-resolute housekeeper, simply closed the door on the Swedish minister who had come to bring a decoration. He could only deliver it because Anne Marie Carl-Nielsen met him by chance in the street, in a somewhat crestfallen state. In the evening there was a gala concert at Tivoli. Carl Nielsen personally conducted two works, the Fifth Symphony and the Springtime on Funen, thereby fully demonstrating the broad scope of his music. Afterwards several hundred people gathered at Restaurant Nimb in the Tivoli Gardens for a supper. This last statement reflected Nielsen’s precarious relationship with the publishing house of Wilhelm Hansen, and led to a direct rupture when he refused to disavow it publicly. Afterwards his works were published by the newly founded Borup Music Edition (in which his friend Carl Johan Michaelsen had an interest) or by the Society for the Publication of Danish Music. On the occasion of Carl Nielsen’s sixtieth birthday his first book was published. Over the years he had had articles published in various Danish newspapers and journals, and some of the best were now gathered together and provided with a foreword and two new essays. This volume was given the title Living Music. There would be currents, indeed. The first movement was finished at the end of November when he was back in Copenhagen, and the second movement was composed over Christmas. After a concert in the Music Society at the end of January he left for the French Riviera with his wife. There they met among others the sculptor and painter J. F. Willumsen, whom they had known since their youth, and the composer Arnold Schönberg. Back in Copenhagen Nielsen composed the third movement, but had to put the symphony aside in order to work on a commission for incidental music to “Ebbe Skammelsen,” which was to be produced at the Open Air Theatre in the Deer Park in an adaptation for the stage by Harald Bergstedt. He first completed this score immediately before his sixtieth birthday on 9 June. Only on going to Damgaard in the middle of July was he able to resume working on his symphony, which by now apparently was giving him trouble. He also had to spend some time in Stockholm where, together with Johan Halvorsen and Robert Kajanus, he was on the jury for a competition for Swedish composers. So, what with one thing and the other, the last movement was only completed on 5 December 1925, and the first performance took place at a gala concert by the Chapel Royal Orchestra on 11 December. However, he had already performed the first movement unofficially in Stockholm on 1 November with the Swedish Royal Orchestra at a festive celebration of the Royal Academy of Music. The Copenhagen reviewers were obviously confused by the style of the new Symphony. Nielsen had called it Sinfonia semplice. It was indeed simple, or rather, simpler than his earlier symphonies. But its irony was not – and is not – simple either to express or to grasp, and it has remained the least performed of all six symphonies. As a sequel to the Wind Quintet Carl Nielsen intended to compose a concerto for each of the five wind instruments. The first he started on was the Concerto for Flute, written for Holger Gilbert-Jespersen (1890-1975). Gilbert-Jespersen had succeeded Paul Hagemann in the Copenhagen Wind Quintet. During the summer of 1926 Nielsen’s ill-health had prevented him composing anything but popular songs, but in August he went south as a member of a committee which was to base itself in Munich and listen to radio sets, so that they could advise whether the new radio transmitter in Kalundborg should be fitted with a thermionic valve or an automatic transmitter. He took with him manuscript paper for his Flute Concerto, and from Munich he continued via Florence to San Gimignano in Tuscany, where Søs and Emil Telmányi were having a holiday. There he was able to borrow a room with a piano. Back in Florence he went on composing intensively until a stomach complaint interrupted him for a few weeks in September. The new concerto was on the programme of a Carl Nielsen concert that had been planned for Paris on 21 October but Gilbert-Jespersen, who had been sent the solo part in instalments as Nielsen proceeded, had in all decency to have some time to study it. The orchestra parts also had to be written out, so Nielsen was simply forced to give the Concerto a temporary ending at the point he had reached. Emil Telmányi came to conduct the Flute Concerto, which enjoyed a positive reception in Paris. When, later on, it was performed in Oslo on 8 November (also with Gilbert-Jespersen as soloist), Carl Nielsen took over as conductor. But he still had not yet written a real ending. This was first ready long after the final date according to the manuscript, when the Copenhagen public had its first opportunity to hear the Concerto at the Music Society on 25 January 1927. Carl Nielsen said about this Concerto that “the composer has had to follow the mild character of the instrument if he did not want to run the risk of being called a barbarian.” And he apparently succeeded, for this Concerto has slowly but surely become part of the international repertoire. With these words Carl Nielsen summed up the very positive reception his boyhood reminiscences, “My Childhood on Funen,” met with on their publication in October 1927. The book was written at the suggestion of his daughter Irmelin, who had for a long time asked her father to note down the impres­sions from his childhood that she had heard him relate from time to time. In March 1927 he started writing. After this success Carl Nielsen became a member of the Writers’ Association and was encouraged to continue writing his memoirs. He declined however – that would imply too much “I,” he said. So posterity has to be satisfied with his unique evocation of nature on Funen, of plain, direct people, of his musical consciousness, of an almost superhuman lack of social resignation – and all of this seen through the flattering, dim light of later years. 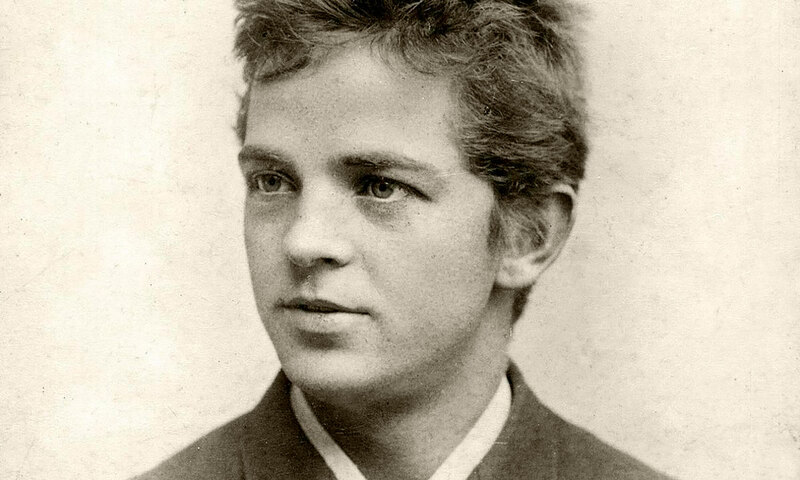 Carl Nielsen’s friend Carl Johan Michaelsen had to urge him several times before he started composing a second concerto for a member of the Copenhagen Wind Quintet. This time it revolved around clarinettist Aage Oxenvad. Nielsen started composing in the spring of 1928. On 15 August he completed the score at Damgaard. Emil Telmányi had already started on an arrangement for piano for the benefit of Oxenvad, who grumbled that Nielsen must be able to play the clarinet since he had systematically used the notes that are most difficult to play.